Texas Pet Bird Rescue View other Birds for adoption. Sydney will be turning 4 in June. He was rehomed to a loving caretaker 6-7 months ago, however due to health reasons she is no longer able to care for him. He is DNA tested male, super friendly (pictured here sitting on my shoulder), smart, healthy, and talks some. If you are interested, please submit the following: 1) Tell me about your experience with birds, and be specific. 2) I am requesting a vet reference, clinic name, veterinarian's name, and phone number. If you do not have one, then I need the name and phone number of someone who knows you and can speak about your character and ability to care for Sydney. If you do not provide the requested information via email or text, then we will not be able to move forward with the rehoming process. Understand that he will live about 30 years, and looking for a new owner who knows what he needs for a long and happy life. 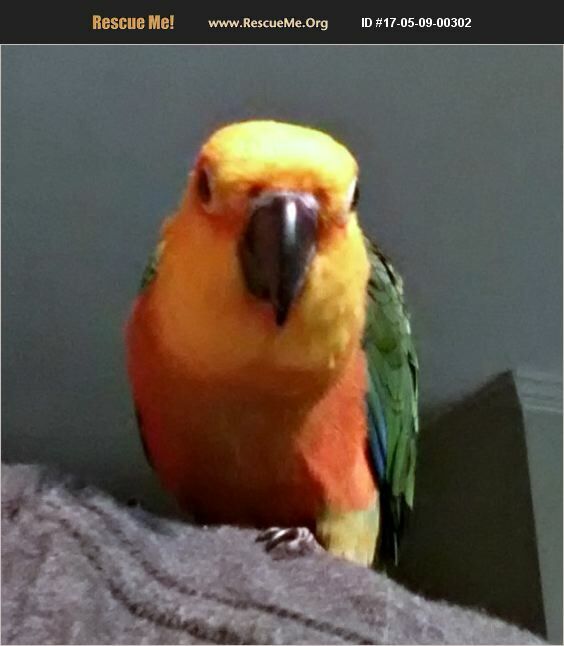 Thank You for your interest in the sweetest bird, Sydney!